The site was acquired by its current owners in May 2015 as an investment but with the additional aim of restoring the site and bringing it back into use as a community hub, with a small element of residential content. The whole of the site is owned outright by MOTHI – a private limited company (limited by shares) owned jointly by Bill Howard and Bob Jones. 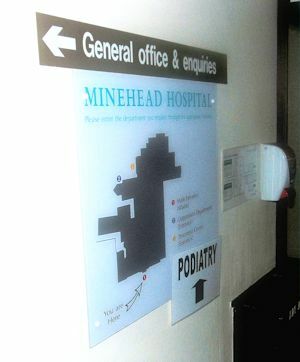 Between the vacation of the site by the NHS and its subsequent sale a sample consultation was carried out locally by the Minehead Development Trust, which has established that there is a need and a desire within the community for this project. Detailed schemes for planning and listed buildings consent have been prepared and submitted, with Heritage England having been consulted in the process. The scheme enjoys the support of the community, local councils, Heritage England etc. and we are hopeful of receiving positive notification in September. Set in place legal safeguards mechanisms. Establish Steering group from local organisations and individuals. Early assessments on financial aspects confirm project viability, but ensuring the right levels of income are made to happen in excess of outgoings all the time is key. 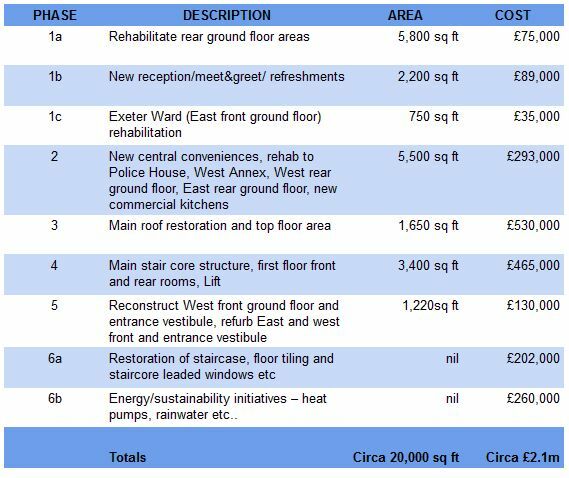 The assessments made thus far point towards a six phase project (see below) with funding being derived from a blend of (limited) government funding, national/heritage grants etc and a high proportion of “self generated” income being ploughed back into the project.